In high school, I played tennis for my school. Our team was middle of the road. We were not state champions, we never won our division, but we played well enough. We won some matches and lost some. I enjoyed playing doubles because I loved having a partner on the court to encourage each other, to hype each other up, to gave high fives, to lift up, and to console. In my senior year, during one of the last matches of the season, we played against the best high school in our district. Our team typically got a few matches off of them, but they usually won. My partner and I were playing a great doubles team, and this was a match I will never forget. It was the longest one I’ve ever played. Every game had long rallies, every set went into a tie breaker, and we were fighting for every single point. My partner and I had run ourselves ragged and we were exhausted. We were the last match left out on the courts and our teammates were cheering us on. During the last hard-fought point of the match, we lost. I was heartbroken. My partner and I dusted ourselves off and shook our opponents’ hands. Then, I broke down in tears. This was a terrible way to lose, I thought. We were so close to defeating the other team and we just lost. But my coach offered some perspective that I have never forgotten over a decade later. He said, “You fought harder in this match than you ever have before. That in itself is a victory.” Now I’ve taken these words to heart over the years. I’ve learned many lessons along the way about giving my best effort and the benefits of putting my whole heart into the things I do. BUT, that’s not where I’m going with this story. In the first and second readings we see that, with Jesus, we are always on the winning team. He conquered death! He was victorious! He has given us salvation! We get to sing joyfully that He has destroyed death. He has promised eternal inheritance to those who follow Him. UM, YAAAS! I am pumped to be on His winning team. We are the forever champions because He wants to spend eternity with us. With YOU. With ME. Now I would have liked to win that match all those years ago. 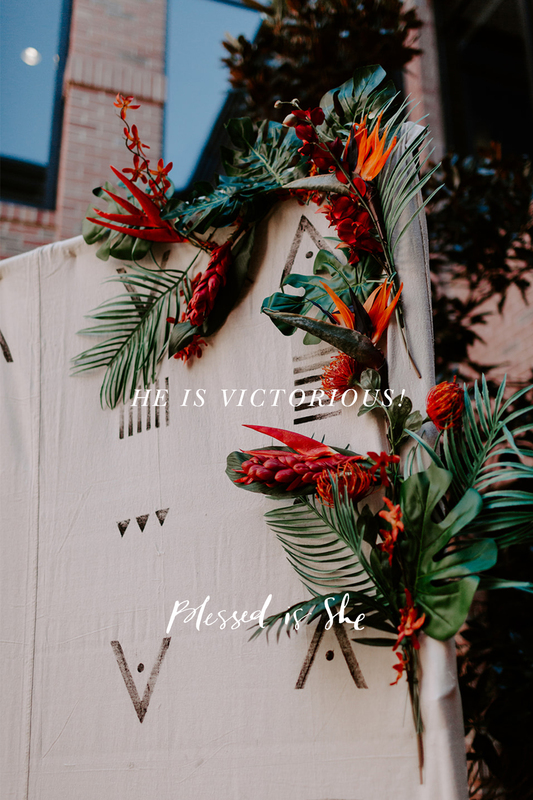 But, I can say that eternal victory is so much sweeter knowing it’s in Christ’s sacrifice. Did you know that the Nicene Creed (which professes our faith, including Christ’s victory) is an ecumenical statement of faith across Protestant, Catholic, and Orthodox believers? See the statement on it for yourself. Dear Samantha, thank you for the link to the ecumenical documents! It is great reading. The agreement in the linked article is specific to Catholic and “major Lutheran churches.” The Nicene Creed is not accepted by all protestants. Two specific issues for many are “baptism for the forgiveness of sins” (many believe it is an outward sign of an inward faith, not that it washes away sin or effects grace) and the four marks of the church. Thoroughly enjoyed this! I think the fact that I, too, was a tennis player, and our daughters were tennis players made this more relatable. I love the tie In to be winners with Jesus! Thank you for sharing your heart with us. “You fought harder in this match than you ever have before. That in itself is a victory.” …this really touched me and transformed my heart for the better! Thank you for sharing!